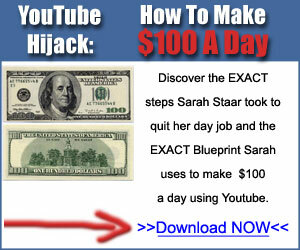 If you are an affiliate marketer, take advantage of the FREE Youtube video training course ===> “The Youtube Hijack”! I found this video training course very helpful. I highly recommend the methods she is teaching in this course! If you want to earn your first $100 online, This is for you. Internet marketer superstar will take you by the hand and show you exactly how you can make your first $100 online – quickly and easily. Click below to find out! I am very impressed how much information she is providing in this course. I highly recommend it! An Average, Non-Tech Savvy Individual Working as a Full-time Nurse Honestly Reviews ASM (Amazing Selling Machine) Program. For those who does not know What ASM is… ASM stands for Amazing Selling Machine. It is a program that teaches you how to sell on Amazon. There are many programs that teaches you how to sell on Amazon. You may also argue that there are many free videos on Youtube videos you can follow along. I first came across ASM – Amazing selling machine in April, 2014, when I was looking for a way out of working full time job,12-hour shifts 3-4 days a week, causing me to miss a lot of my kid’s school activities and be so tired and worn out that I could not even enjoy any of my off days. I had been looking around and had dabbled in a few different niches and industries here and there before, but I did not know how to get things started or to change the course of my career to make it more comfortable and better fit my needs. I decided to jump in on it. One – I work full time job as a nurse. I work 3 days-12 hour shift. Sometimes, it turns into 4 day-14 hour shift. Normally, I only have around 2 days off during any given week, not counting the weekend. We as a family try to perform family activities on the weekends together, since we are all busy during the week. Those 2 off days were typically for me to catch up on cleaning and other chores, so if I was to start working online from home, I was going to be on a pretty short leash when it came to free time, much like most other people. Two – I am not a tech savvy person. I have my husband fix any computer issues that I may be faced with, and pretty much all I know about computers is how to copy and paste stuff and how to send Emails. I did not know much about Internet marketing, and I still don’t know much about it. I have been learning more now since I have more time away from a job. Three –The program is expensive. In order to enter the program and start to earn from home, 4 installments of $997 needed to be paid. The program is a $3500 program if it is paid in full at one time. It is a lot of money for a person who is working as a nurse making an average income which is barely enough to support a family of four. And on top of everything else, my husband was going to school full-time to finish his master’s program at the time. Four – I am originally from South Korea and English is my second language. While I believe that I speak the language fairly well, I also knew that English being my second language could cause some problems for me if I tried to work online. However, I was completely and entirely determined to change both my life and the collective lives of my family. If you are reading this article and you are anything like me, I believe that all you need to earn online is nothing but determination and good work ethic. As long as a person is determined to earn passive income and has excellent work ethic, in my opinion, they can definitely work online and earn actual money. 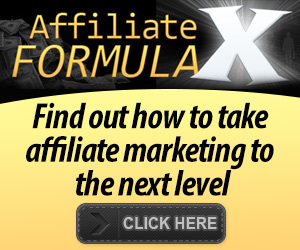 The ASM program is simple, easy to follow and both the members and the mentors of the program are very helpful when it comes to guiding you when you get stuck in the process of trying to earn online. Once you join the program, you become a member of their closed Facebook group where people communicate all the time with various business experiences, advice and tips. I feel like I am never alone trying to make money online as a member of this group. This is the 2nd month sale summary after I launched my product. A lot of people are doing a lot better than I do. I am just an average person who is following along the program. You know, I am not a tech-savvy person. I have my gratitude to Matt and Jason who put this wonderful program together, and I do believe that they are genuinely trying to help people start a business through which they can easily make substantial money on the internet. I still have a lot to learn, but I have way more time to work on it than I had before. Yes, it is true that it takes time and money to make money. There is no question about it, but if you want to liberate yourself and start living a better life, something needs to be changed. The ASM program is not always available. Please email me in the subscribe box provided above so, when the program is available, I can send you the link which you can use to join it. Thank you for your time and all the best in your future endeavors! Join me now ASM#6 is available from October 7 – to October 15, 2015. Door will be closed after that. I do not know when they will reopen.